Warning the following video is hard to watch, it turns my stomach and I can’t watch it all. Elephants must be gentle creatures as they seem rarely to defend themselves or attack when being subjected to such treatment. Or maybe it is because they know that doing so will bring about even harsher abuse. The video below shows the head trainer of Carson & Barnes’ viciously attacking elephants with a bullhook and shocking them with electric prods as they scream in pain. The manager of Garden Bros regularly beats the animals, he withholds food from them and denies them veterinary treatment. Please send a message to ask venues still planning to host this cruel circus to consider these facts carefully and at least require that scheduled performances go forward without animals. Tell Venues That Garden Bros. 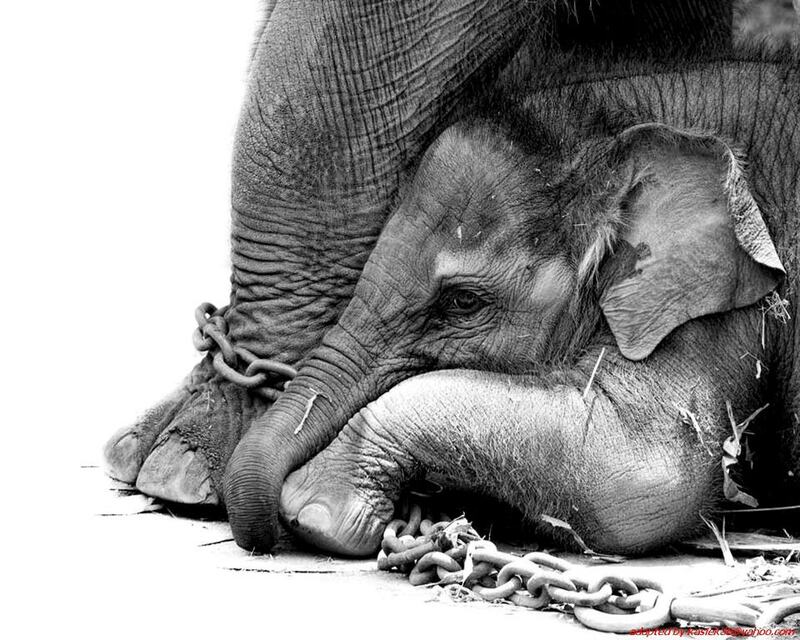 Circus Needs to Drop Its Cruel Animal Acts! “Garden Bros. Circus, along with its elephant act provided by Carson & Barnes Circus, is on tour in the South, and we need your help to let the venues planning to host it know about its decades-long history of abusing animals. Please read more and send the message. There is a template letter which you can edit to include your own words but if this is not possible for some reason please just send it as it is, but please send the message and share . http://www.peta.org/action/action-alerts/garden-bros-circus-cruel-animal-acts/?utm_campaign=022417%20peta%20e-news&utm_source=peta%20e-mail&utm_medium=peta%20e-news – there is more action further down that you can take to help animals in circuses. I cannot understand why there appears to be no laws to stop such abuse happening when clearly there is proof that these animals and others are mistreated. Here in the UK the RSPCA would I am sure take action and prosecute the circus and have the animals removed. It sickens me that such evil people get away with such vile abuse and so little can be done to stop it. Recently Romania has banned wild animals in circuses and joins 19 other EU member states which have fully or partially banned the use of wild animals in shows. It is time the USA and indeed other countries, including the UK, BANNED performing animals in circuses. … well its not really great is it? How many of us thought Trump would really seriously go ahead with such an outrageous project! Though of course at the present time it is only a proposal. I know so much has been said about the wall but I want to add my two peneth. Firstly some light relief. A spoof concerning Trump’s Mexican Wall using footage from the new Chinese film The Great Wall. I love the following condemnation of the wall by Vicente Fox Quesada, it is one of many tweets by the former president of Mexico. Finally someone who is outspoken. Who the hell does Trump think he is Qin Shi Huang, the first Emperor of China who built the Great Wall of China or the Roman Emperor Hadrian who built the defensive fortification known as The Roman Wall or Hadrian’s wall here in the UK. The huge amounts of money required to build the Great Wall of Mexico could be far better spent on improving the lives of the American people, such as health care, the relief of poverty and education to name just a few more pressing needs. Thousands of Americans are dying from preventable illness and lack of adequate health care yet there is money to build a wall. Millions of tax payer dollars are potentially going into a wall not education, not housing. The wall is a monument to racism, so says the former Mexican president. And he is right. While people die as a result of lack of proper health care and veterans sleep on the street Trump plans to spend billions, some estimate as much as 25 billion, on a wall to keep out a few desperate immigrants who simply wish to find a better life. Though one has to ask if this is possible in Trump’s America. Nearly 2 million tons of carbon dioxide will be emitted into the air as a result of making the cement needed to build the thousand mile long wall. The wall will also cut off endangered animals from part of their territory. Also the Mexican Wall will block migration routes for jaguars, ocelots, mountain lions and deer . “Now that this terrible idea could actually become a reality, scientists and conservationists have also voiced their concerns. In addition to allegedly blocking people from entering the U.S., a concrete wall along the border with Mexico would obstruct important wildlife migration routes for jaguars, ocelots, mountain lions, deer and other animals. Here is the latest information to take into consideration. Sixty-Two miles of the proposed Mexican wall belongs to the Native American Tohono O’odham Nation. For the past 150 years their land has been divided between these two boarders. The wall will split tribal land the most of which is in Arizona with a small portion in the Mexican state of Sonora. Better things 25 billion could be spent on. It’s estimated there are between 20,000 and 45,000 deaths a year due to lack of health insurance. This is the face of health care in America, yet Trump’s priority is to build a wall in addition of course to repealing Obamacare also called Affordable Care or Affordable Health Care Act. I admit to not know a lot about the Affordable Care Act, it is so complicated. What really is needed is a universal system of health care like we have here in the UK. However as it appears to me Obama Care is thus far the best option. What is needed is a publicly funded universal health care plan, the USA is a rich country there is no reason why people should die simply because they cannot afford insurance, the cost of which gets higher as people become chronically ill, have a preexisting condition or as they get older. In the USA 17 million children go to bed hungry. Forty-Five Million Americans Struggle to put food on the Table More than 1 in 5 children is at risk of hunger. Among African-Americans and Latinos, it’s 1 in 3. Click the link below for more facts and stats, while there has been some improvements over time in some areas the huge number of people suffering hunger and poverty in one of the richest countries in the world is extreme. Frankly it is a grave social injustice that anyone anywhere dies of hunger when in the right circumstances enough food can be produced to feed everyone, however anyone suffering such deprivations in a rich country where food and other of life’s essentials is readily available in abundance is just appalling. There are an estimated 1.56 million people who are homeless in the USA though these estimates vary. Estimates show that nearly 1.4 million children are homeless in the USA every year. Millions of people in the US are evicted every year because they cannot pay the rent. “In America, families have watched their incomes stagnate, or even fall, while their housing costs have soared. Median rent has increased by more than 70% since 1995. Meanwhile, only one in four families who qualify for housing assistance receive it, and in the nation’s biggest cities the waiting list for public housing is not counted in years but decades. The typical poor American family does not live in public housing but receives no government assistance whatsoever. The result? Today, the majority of poor renting families in America spend more than half of their income on housing, and at least one in four dedicates more than 70% to paying the rent and keeping the lights on. Shocking fact around 47,725, or about 8% of the homeless population, are veterans. I don’t know about putting America first, but its time to put people first, all people regardless of race, creed, nationality, rich or poor – though frankly it is time that there were no rich and no poor, it is greed and capitalism that is the root cause of poverty, hunger and homelessness. It is time for equality, genuine equality including material equality. It is time to do away with greed and the struggle for power, the roots of all the evils of this world. We do not need to be building more walls that’s for sure.In the twenty-first century whether it be the USA or Africa no one should die because they cannot afford to eat because others have more than their needs, because others have so much power they can squander resources to bolster their own prejudices and egos and destroy lives including that of other animals and the very planet itself. If anyone is in any doubt concerning the sheer stupidity of such a huge project as the Mexican wall, the following video may add some perspective. Here’s the entire US-Mexico border in 6 minutes. http://www.aljazeera.com/news/2017/01/donald-trump-muslimban-sparks-outrage-fear-170128070007650.html – maybe a different kind of wall but a wall nonetheless. Scroll down for actions to take including petitions. If you don’t have time to read the information below please at least take some of the suggested actions to help stop the awful suffering inflicted on helpless animals in laboratories. Recently I noticed the following disturbing article about animal testing which adds more support to the many reasons why this shocking cruelty to animals needs to end once and for all, forever. No exceptions, no excuses. The fact that still today we treat helpless innocent animals so appallingly shames us. There is not one country in the world that does experiment on animals. Yes there has been some progress such as the EU’s ban on cosmetic testing, but animals are still used in experiments and medical research and continue to be tested for cosmetics in many countries such as China and the USA. According to the Huffington post there have been cases of cannibalism, drowning, starvation, pain and distress such as from the lack of anesthesia as a result of neglect by staff in laboratories in the UK. That is of course in addition to all the other horrors of vivisection which our government and others permit as routine and acceptable. Mice who hadn’t been fed for up to four days ate each other. The answer of course to such neglect and harmful practices is to discontinue animal testing. The use of animals in experiments including medical research should be banned entirely. Animals have a right to their lives as we do. To an animal his or her life is important. Animals have a brain and a nervous system, so feel pain, experience fear and suffer much as we would if subjected to the same abuses.We have no right to use animals in this way, there is no ethical justification, there never will be. We set ourselves above the other creatures with whom we share this planet, but in reality we are no better than any other animal, all animals wish to live, all animals try to avoid pain and suffering. All animal experimentation should come to an end, it’s barbarity at its worse, torture beyond our ability to imagine. Look at the picture of a rabbit at the beginning of the video below fitted with a cannulas, I have shown this before in a previous post because it is just so shocking. The video below is difficult to watch. Vile wicked evil people, shame on them though I doubt they have the decency to feel shame, let alone compassion or empathy, – guilt also has no part to play in the lives of such callous unfeeling people. There are many petitions and other actions you can take to help bring an end to this form of suffering, here are just a few of them. ANIMALS IN LABORATORIES NEED YOU! Want to help the countless thousands of animals suffering in laboratories. Click the link below where you can send a message to Victoria’s Secret, which will be selling their products in China where tests on animals are required. “Windex is a window cleaner company that is manufactured by S.C. Johnson. S.C. Johnson tests the ingredients in Windex on animals in experiments that often result in their death. Each year, more than 100 million animals are abused in the procedures and killed. Please sign this petition to refuse purchasing Windex because the company tests on animals! “Our medicines are killing us! Adverse drug reactions have reached epidemic proportions, sending a million Britons to hospital and killing more than 10,000 every year. “I believe that it is wrong to carry out experiments on animals when there are better, safer and humane alternatives available. https://www.ad-international.org/petitions/?a=sign&pid=4&l=UK This petition may be signed by anyone worldwide. Advancing Science Without Harming Animals. To finish do watch this moving video about rabbits rescued from a lab. Its good to know that there are people care about animals and that some abused animals find happiness, love and freedom. http://www.thepetitionsite.com/takeaction/713/819/785/?z00m=28775294 -Anyone worldwide may sign this petition. As we all are so painfully aware Trump intends to dismantle Obamacare ( Affordable Care) which while not anywhere near perfect and complicated it is far better than previous options. I am not a resident of the USA and do not know all the ins and outs of Affordable Care sometimes called the Affordable Care Act ACA or Obamacare but know that if it is repealed many people will die or suffer from illnesses which are treatable simply because they do not have the money to pay the huge price of medical treatment in the USA. I think the majority of people would rather see improvements to the existing Affordable Care rather than have it scrapped. Instead of spending huge amounts of money on building the monument to racism, the Mexican border wall, the USA should spend the money on medical treatment for all. The USA is a rich country, it is shameful that people die or are ill simply because they cannot afford health care. I don’t know about put American First, such nationalist slogans go against all I believe in. However it is time to Put People First. How can anyone with any decency who claims to have the interests of the American people as foremost on his agenda, than go on to deny these same people adequate health care. From my perspective Obamacare is a vast improvement on the previous system and the focus should be continued improvement rather than repeal. However, isn’t it time for universal health care? Here is what happens in the UK. In the late 1940s the Nation Health Services was founded. Since that time regardless of your financial situation you are entitled to free health care. If you get sick you telephone the surgery where you are registered as a patient and book an appointment with a GP (general practitioner). There is no charge no matter how many times you have to see a GP. Your medication may not be free if you are working but if you are a child, a pensioner or someone on certain benefits your prescriptions are free. For everyone else there is a basic charge of £8.40 per item. Not ideal I know and frankly it is time prescriptions were free as they once were when the NHS first came into being. Nevertheless the cost in most cases is far less than the cost of the medication particularly in comparison to the huge charge for medication in the USA. If you require hospital treatment it is entirely free from the most basic of treatment to the most expensive. You will not be charged if you have to call an ambulance as is the case in the USA. You are also entitled to certain health screening services though this is restricted to age. For the optician and dentist there is a charge for some people but again children, the retired and those on certain benefits are entitled to an eye test though for the glasses there is a charge. Being seriously or chronically ill is a life changing event without the additional worry of financing treatment, the cost of which in the USA is astronomical. Not everyone can afford insurance which in any case is not ideal, insurance companies are after all in it for profit. Without insurance treatment, major surgery for example is beyond the means of most people. In the USA heart surgery is about $90,000, in India it is just £1,8000 while treatment for diabetes is less than 10% of what it costs Americans. Time to make health care a universal right for everyone regardless of income or location. The NHS has been there during my life time and I cannot imagine what it must be like not to be able to receive treatment when I am ill. The insecurity, particularly for poor people must be a significant detriment. 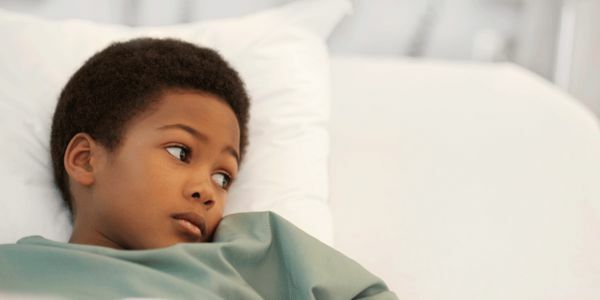 The following is a shocking and harrowing story of the struggle for survival of a seriously ill man as he tries to get the treatment he desperately needs to save his life and his difficulties concerning the enormous bills which rapidly accumulated. “Matthew Stewart owes $62,668.78 for drugs, surgeries, and other treatment. With both bankruptcy and possibly fatal liver failure looming, he doesn’t even bother opening his bills anymore, he told The Week. “There was no point. They just upset everyone,” he says. http://theweek.com/articles/666799/how-american-health-care-kills-people – If you are in any doubt about the complexity of healthcare in the USA be sure to read this article, I cannot even begin to imagine the hell that this poor man and his family endured trying to navigate the complexity of this chaotic, callous health care system where medical providers find loopholes that they can exploit to their advantage. “Doesn’t ObamaCare have out-of-pocket limits that would prevent this sort of thing? The above is a good case in point for the introduction of a universal health care system similar to the NHS here in the UK. In the mean time Obmamacare has made improvements but much more needs to be done to improve it rather than repeal it, such as fixing the above mentioned loopholes. The last sentence sums up nicely his real agenda. As for affording health care… The USA is one of the richest countries in the world. There is money to cut corporate Tax, build walls , wage wars but no money for health care? I don’t know about making America Great Again but it is certainly time to Make America Healthy Again don’t you think Mr Trump? Just when you think this government could not get more callous, more cruel, more indifferent. The Tory Government is on longer accepting disabled refugee children escaping the war in Syria and elsewhere because it says it cannot cope with their needs. Shantha Barriga, director of Human Rights Watch’s disability rights division, said: “Shutting the door on vulnerable children is an affront to British values. “People with disabilities endure unimaginable hardship during conflict, and many faced huge hurdles in escaping the violence. 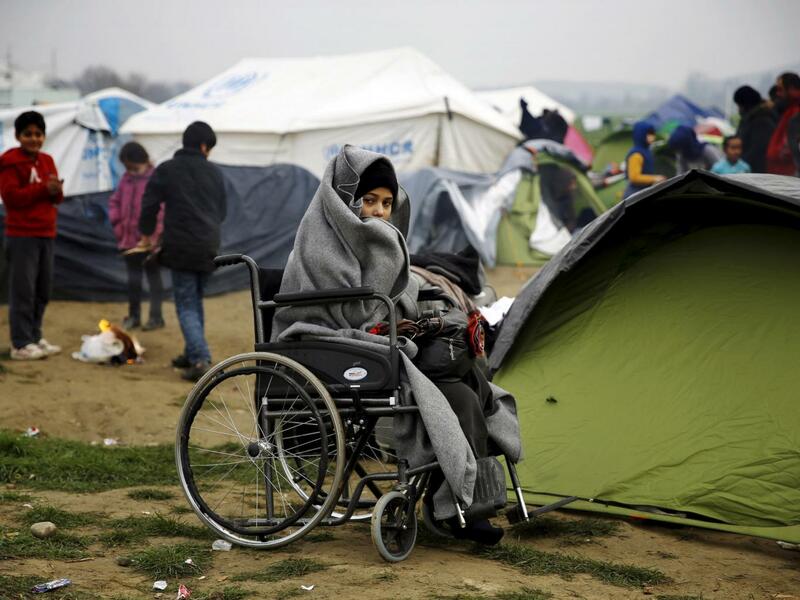 That the UK now says it’s not prepared to accept refugees with disabilities is unthinkable. So many of the comments following the above article are just appalling, how people can say such things so openly, particularly when it concerns the welfare of children is shocking, their selfishness and bigotry is so palpable. Shame on the government, a new low even by Tory standards. The UK is one of the richest countries in the world, of course we can care for these disabled children. It is just that the government does not want to, they would rather give tax concessions to corporations. The Tories have no humanity, no compassion. These long suffering and very vulnerable children should be taken in and given refuge, we are more than able to provide the care these children need here in the UK as we are the care that our own disabled children and adults need but which they are often denied . Sadly we do not take care of disabled people already living in this country. In both cases it is not the lack of finances or the inability to provide for disabled people whether refugees or otherwise, it is simply that the government do not want to do so. With cuts in services and to benefits life is a struggle for disabled and sick people here in the UK. This latest decision to deny access to the UK for disabled refugee children confirms the government’s callous uncaring attitude to disabled and sick people. Not only the government of course it seems that as a country we have become less caring, ignoring the plight of others with callous indifference even outright hostility, not only of people from other countries but at home also. So few have stood against the government’s assault on disabled people, the cuts in benefits and services which have left disabled people struggling, making already difficult lives more miserable. If we – as a nation – get used to being mean-spirited to refugees, then we will end up being increasingly mean-spirited to others ‘closer to home’. The ‘not my problem’ mantra will turn into a habitual mindset, which will eventually include (or exclude) all of us. The above comment on the independent article sums this up nicely. It is one of the very few supportive compassionate comments. Also the UK the UK government announced it will end a scheme that allows unaccompanied child refugees to come to the UK. Stand up for the right of unaccompanied child refugees to seek a safe home in the UK. “On Wednesday, our government announced it will end a scheme that allows unaccompanied child refugees to come to the UK. I believe this is shameful – and requires immediate public outcry. Click here to send a tweet to Home Secretary Amber Rudd calling for reversal of this decision. The scheme was devised by a former child refugee – Alfred Dubs – who was rescued from the Nazis and brought to London as a 6-year-old by the ‘Kindertransport’ in 1939. He now says he owes his life to Sir Nicholas Winton, who started the scheme. We are not talking about terrorists. We are talking about children who are alone, with no family, home, or safe place to go. If we, as one of the richest countries in the world, cannot find the compassion to help, who will? I believe Britain is better than this. If you agree, click here to tweet Amber Rudd calling on her to keep this scheme running and allow unaccompanied child refugees a safe home in the UK. There are just 3000 children, a small number. 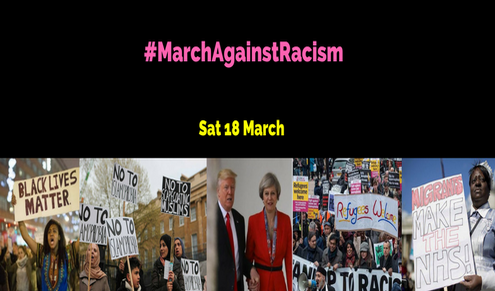 Write to Amber Rudd and Teresa May voicing your concerns about the abandonment of lone refugee children along with the UKs’ recent rejection of disabled children. Both shockingly shameful acts. Please be polite. I know it makes those of us who care about others very angry, we cannot understand the cold indifference to suffering, particularly to vulnerable children, which of course all children are whether able or disabled. http://www.mirror.co.uk/news/politics/50000-name-petition-against-scrapping-9800408 It is so good to see that many people care about this grave social injustice.